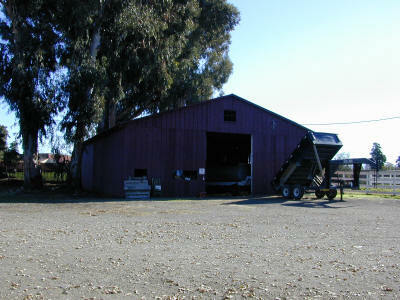 This barn was originally the Livermore High School Gymnasium. 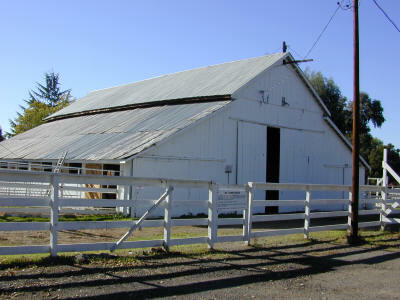 This barn, erected sometime in the 1890s, was relocated from flat level ground to the slope upon which it now sits. A foundation had to be constructed beneath it to compensate for that slope, causing the original base plates to sit above the ground as much as three feet. The location or date that it was built is not known. 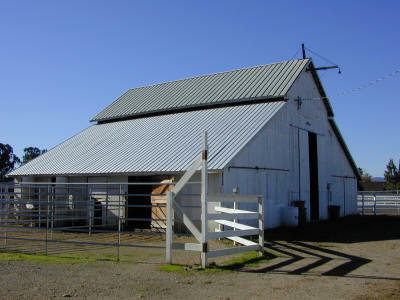 The Cow Barn, erected sometime circa 1880, housed pigs and cows. 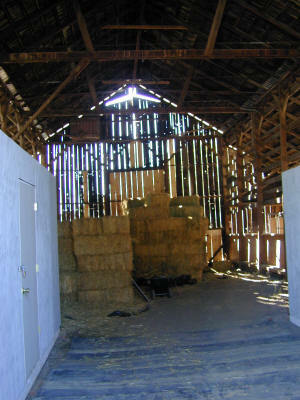 Inside the Cow Barn. 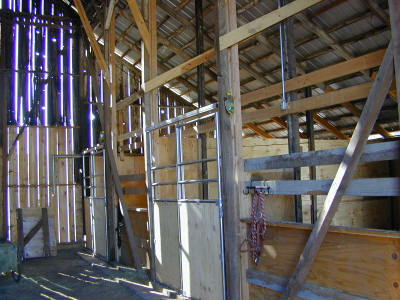 The new stalls were erected for Draft Horses and foaling mares.